You know that Myers-Brigg test? The one that classifies people according to their personality types? I’m an ENFP–extroverted, intuitive, feeling, perceiving. There is a stereotype associated with the ENFP. The ENFP is the good-hearted campaigner. A person who loves to be the center of attention. I am actually the opposite. While I was married to Caleb, my Myers-Briggs results called me an INFP. I thought that I had matured, developed into my own introversion. I didn’t realize then that I was introverted because secrecy is the greatest introversion. My most recent Myers-Brigg test rated me as 51% extroversion and 49% introversion. I am an extroverted introvert. It’s common knowledge at this point that my department has been the subject of a major sexual harassment/assault scandal. There was a rally at my department’s building a while ago. One of the organizers asked me if I would be willing to speak. I didn’t know what to do. I reached out to one of the survivors, and she kindly responded that they didn’t want any one person to be put on the spot. You see, my position in the department is not very safe. One of my cohort posted about this situation on Facebook a while ago, and the comments were mostly the same–Take care of yourself first. I couldn’t help myself. I commented. I commented that, if we all take care of ourselves first, then the burden of establishing safety is going to continue to fall on the most vulnerable populations. My cohort member, who is a good person, agreed. I didn’t speak at that rally, but I went to it, and it was beautiful. The power and authenticity with which those undergraduates spoke made me cry. 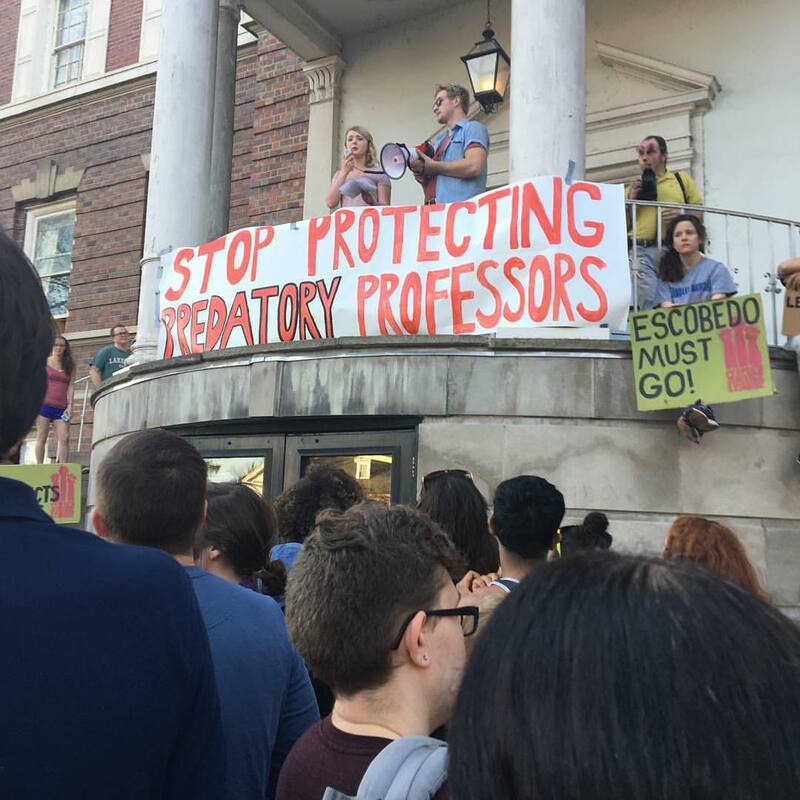 A faculty member who had voted for the predator to keep his tenure also came to the rally. Our department chair has been one of this predator’s biggest supporters, but she wants to be a hero now? It was signed by the faculty member who is being sued for having enabled the predator by burying previous charges against him. It was signed by all of the faculty members who voted for the predator to keep his tenure. It was signed by the predator’s wife. My dissertation advisor (who has been nothing but a good ally) asked me how I felt about the letter that was sent to us graduate students. A student journalist recently reached out and asked me to do an interview. I declined, but then, when I had members of my cohort who wanted to speak out, I agreed to a joint interview. Still, the student journalist primarily quoted me, and it upset me. I felt unsafe. Those weren’t the terms I had agreed to. There is safety in numbers. We all need to speak out. I haven’t talked to my therapist in a while, but this situation has driven me back. I told my therapist that I struggle with my introversion, and with how that is at odds with my activism, and she gave me permission to be an activist in the way that I am most fully capable–through my writing.